Check out this great article from the Daily Herald. 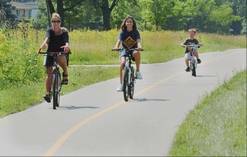 Writer Neil Holdway has compiled a list of the best family-friendly bike riding locations in the Chicago suburbs. The list includes locations in DuPage and other surrounding counties.